Introducing RAD Studio 10 Seattle! 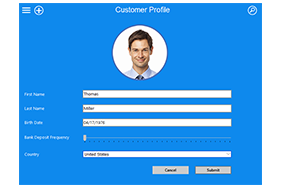 Windows 10 is the most significant PC release in many years and it is a big opportunity for software developers. Now is the time to move apps and users onto Windows 10. 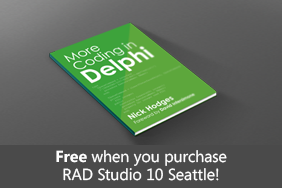 You’ve heard the buzz about RAD Studio, Delphi, and C++Builder 10 Seattle and now is the time to dive in and learn why everyone is so excited! Don't want miss this in-depth look at all the new and enhanced features added with 10 Seattle! Included with RAD Studio are a wide variety of full featured product demos. 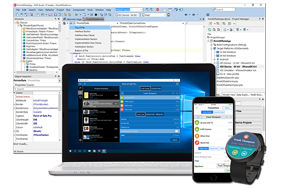 New 10 Seattle code samples include new Windows 10 VCL Controls, Windows 10 Notifications, Android Notification Services, and much more! 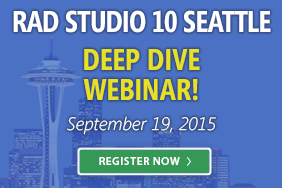 Early Bird Discount – 10% Off RAD Studio 10 Seattle! 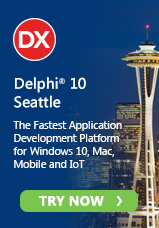 Get rewarded for being one of the first to buy or upgrade to RAD Studio, Delphi or C++Builder 10 Seattle. 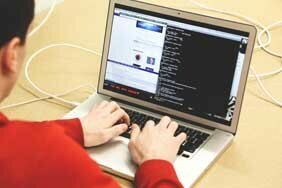 Plus get FREE bonuses including “More Coding in Delphi” ebook by Nick Hodges and more! Free eBook with RAD Studio 10 Trial! 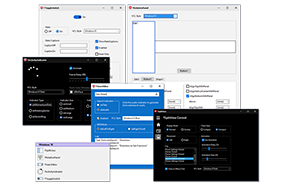 Try new RAD Studio 10 and when you activate your free trial you get free access to the Object Pascal Handbook ebook by Marco Cantù and a chance to win a GoPro camera.